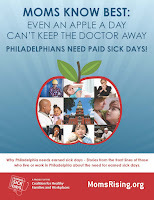 Pennsylvania Coalition for Healthy Families and Workplaces (Paid Family Leave Paid Sick Days): Read Stories from "Moms Know Best: Even an Apple a Day Can't Keep the Doctor Away"
Read Stories from "Moms Know Best: Even an Apple a Day Can't Keep the Doctor Away"
When we delivered apple baskets to City Council members last week, we also delivered an important story book put together by MomsRising with the help of Coalition members. 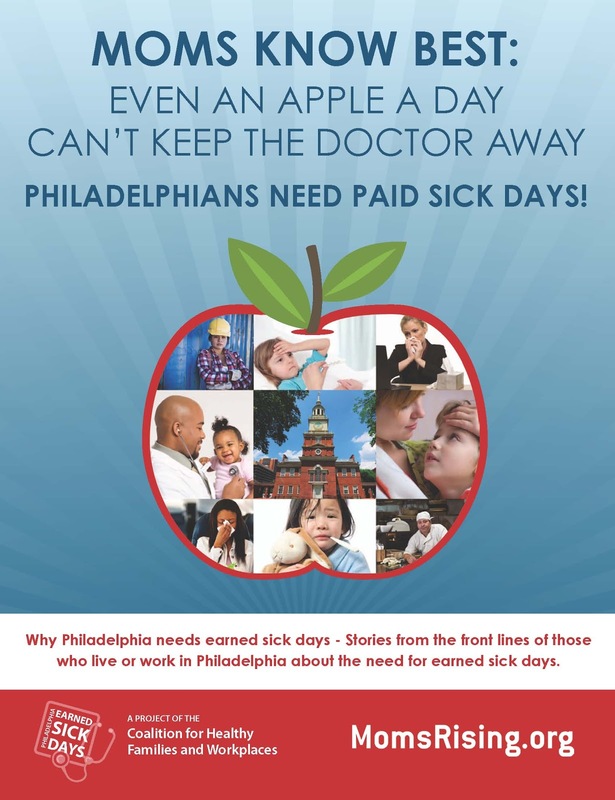 Now you can read "Moms Know Best: Even an Apple a Day Can't Keep the Doctor Away" and learn the stories of Philadelphians who are working without sick days. I’ve got the ﬂu right now. I missed work on Friday and my boss made it very clear that this put me on shaky ground. I’ve had a fever of around 102 for days now, and I’m missing work today as well. I fully expect to be ﬁred as a result of this. what exactly am I supposed to do about this? Please read the stories and let others know about the need for paid sick days.